There are few things better than a Sunday dinner, and nothing makes for a better main dish than a tender beef roast. After church, our whole family goes to Grandma Bev's for dinner. 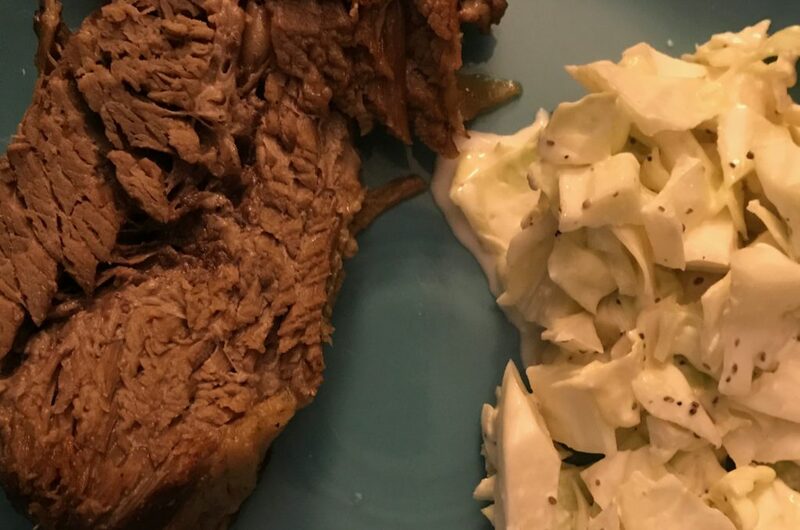 One of her go-to recipes to feed all of us is this slow cooker roast. Layer the sliced onion on the boom of the slow cooker. Place the roast on top of the onions, and season with salt and pepper. If desired, dissolve beef bouillon in 1/2 cup warm water, and pour into base of slow cooker. Cook on low for 8-10 hours to achieve the most tender roast, or cook on high for 4-6. Note: You can start this recipe with a frozen bee roast, but you may need to cook it longer than the time listed. Serve with roasted potatoes and carrots for a meal of comfort food, or coleslaw and barbecue sauce for an easy meal. Alterations: Mix up the seasonings and veggies based on what you like.